Enchanted Excurse: Monkey Bites Galore!! After you make the banan wiches, you stick them in the freezer for 1 hour. When that 1 hour has passed, you now need to melt your chocolate. What I did was get a small pot, filled it with water to boil, and put a heatable safe bowl on top of the pot. 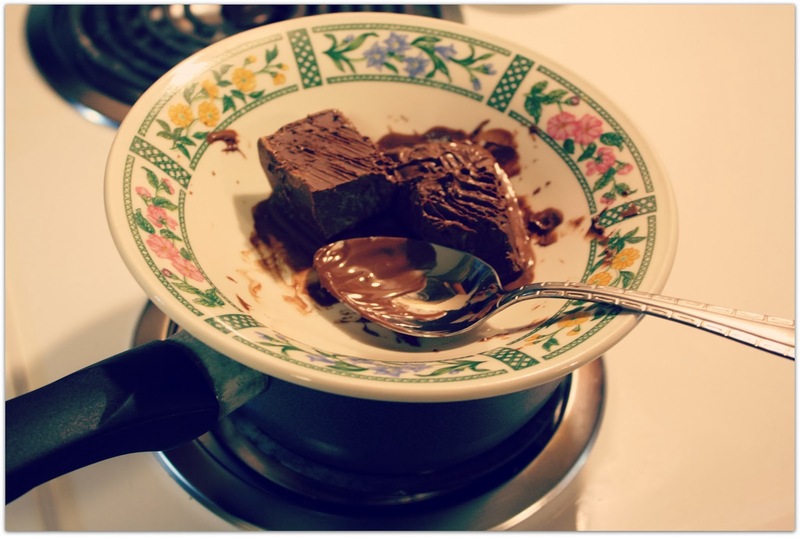 Then I put chocolate in that bowl and let it heat that way. 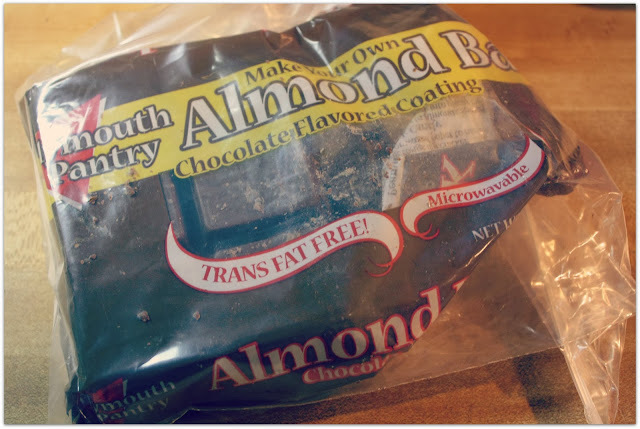 The chocolate I used was almond bark, which I purchased at wal-mart. I think you can buy it at krogers and harps also. 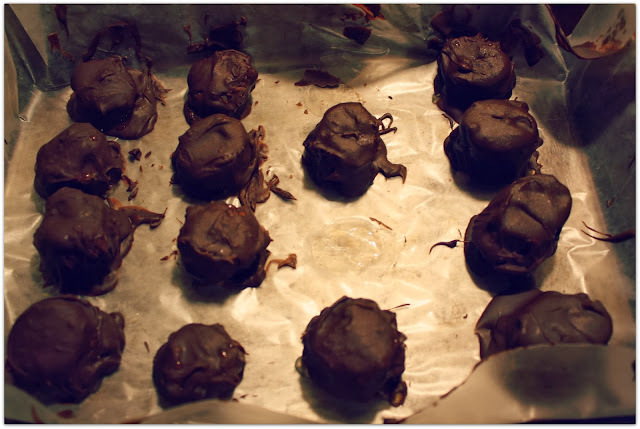 Then after I covered the banan wiches with chocolate, I stuck them back in the freezer for 2-3 hours. After those hours have passed you are done!! WALAHHH!!! Monkey Bites. I will have to say I made a boo boo though. They were so hard in the freezer that I put them in the fridge after I ate a few. I now realize why you probably should keep them in the freezer. The banana part has gone mushy, even though the chocolate is hard on the outside. Oh well, We live we learn right??? lol Ta Ta For Now!! Yum! gotta try these sometime :) thanks for sharing! 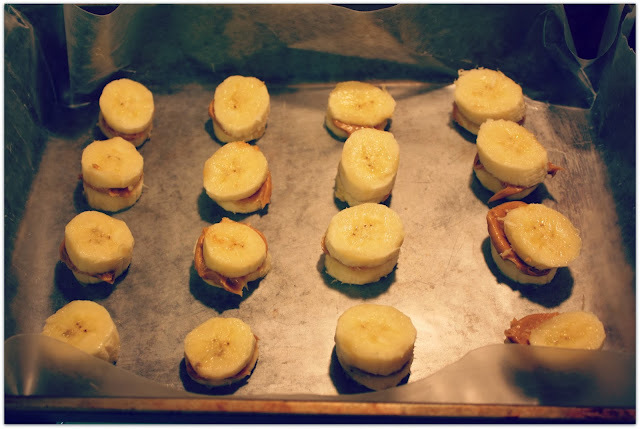 These look delicious and we almost always have bananas and chocolate in the house, so I will definitely be trying this recipe. Thanks for posting and please check out my new blog.